Sorry this event has now expired. But please check out other great events from the best of Guernsey. 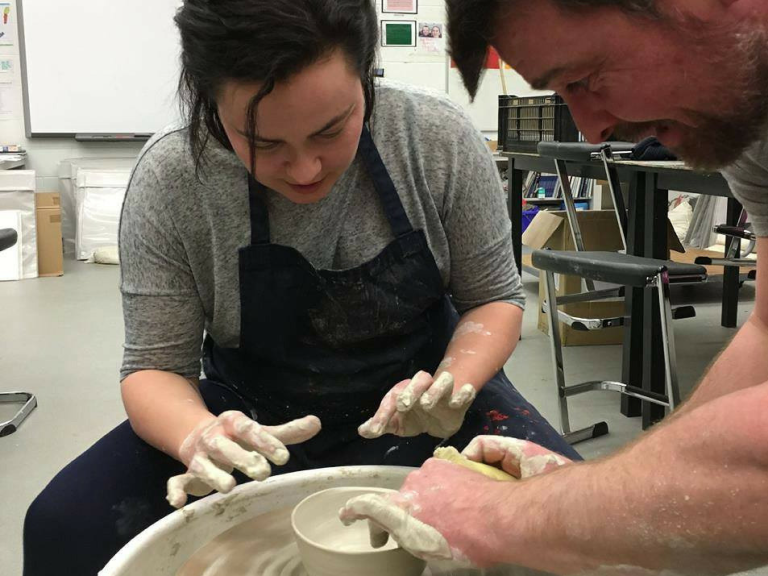 This 30 minute wheel thrown pottery introduction gets you hands-on and dirty learning wheel throwing pottery basics. Expect a few pieces to make it into the slop bucket for recycling and one or two pieces to make it onto the keeps board. We fire your best two pieces ready for you to glaze in a couple of weeks at a time of your convenience, these will then be fired for you a second time. They will then be ready for collection. This is an adult course. Children over 14 are welcome but do need to be accompanied by an adult. Please note that these 30 minute workshops run continuously from 10am until 1pm and you are welcome to book consecutive sessions for a more intense lesson.